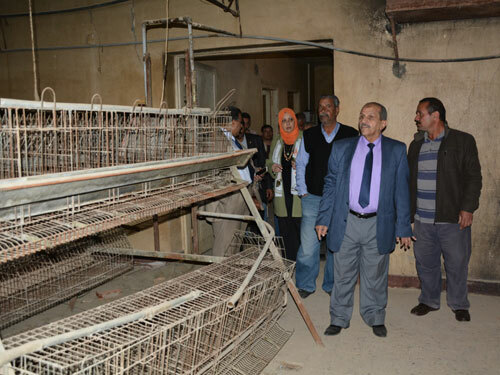 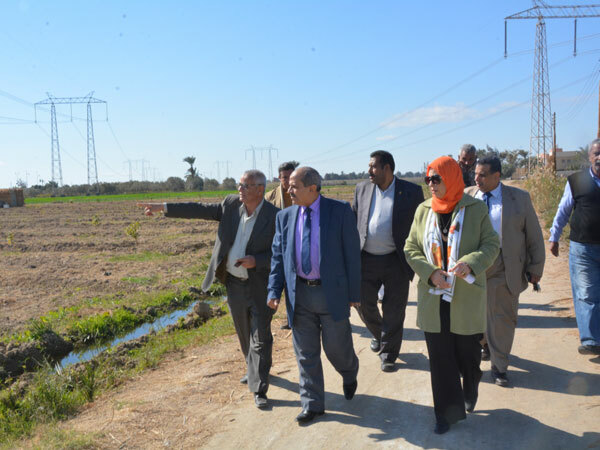 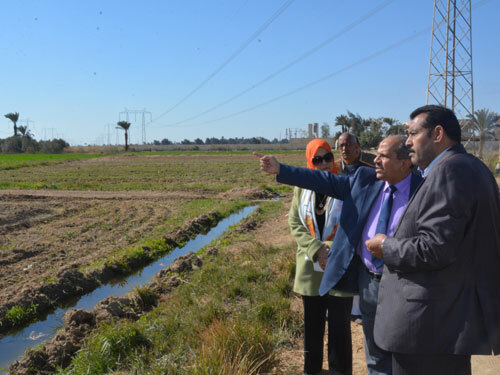 Prof. Ashraf Abd El-Hafeez, Acting President of Fayoum University, accompanied by Prof. Nevein El-Sawah, Acting Dean of Faculty of Agriculture, visited the Agricultural Research and Experimentation Center for Plant and Animal Production at Fayoum University Farm in Demo. 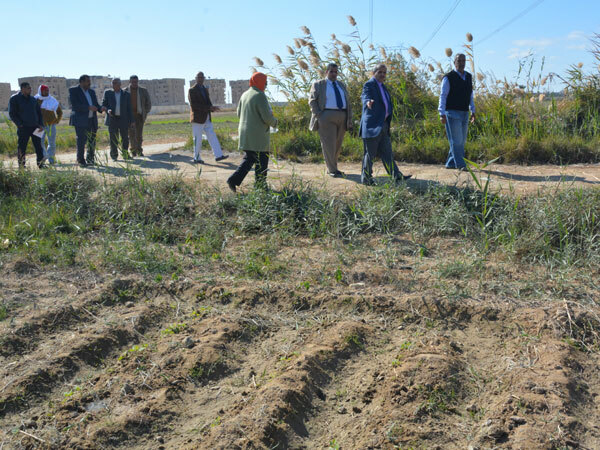 They were accompanied also by Prof. Gamal Abd El-Samad, Head of Horticulture Department, Dr. Salah Imam, Director of the Center and Mr. Ayman Helba, Assistant Secretary-General of the University for Financial Affairs, on Tuesday, 8/1/2019. 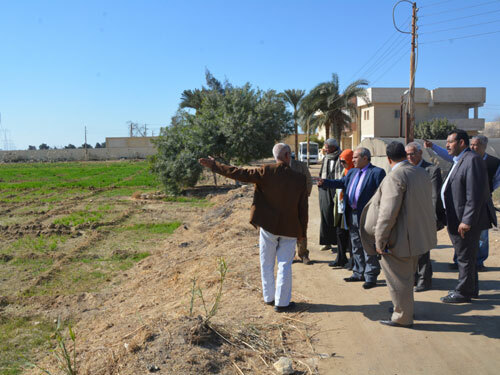 Prof. Ashraf Abd El-Hafeez said that the visit comes within the framework of the periodic follow-up work to improve and develop the units of the Center for Agricultural Research and Experiments of the Faculty of Agriculture in addition to follow-up crops and scientific research applied in the farm. 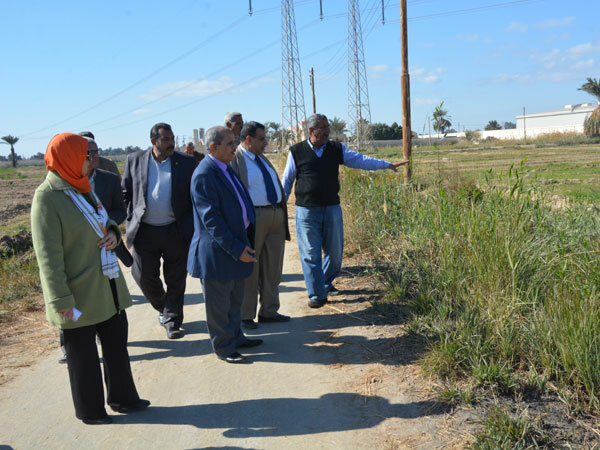 During the visit, they inspected the animal farm to check the animals in the farm to be sure about the improvement of the produced meat and milk.